Quill pens were the writing implement of choice before the invention of the metal-nibbed pen in the mid 19th Century. The wing feathers of large birds made excellent quill pens. The hollow interior of the feather helped hold ink in reserve, allowing the writer to dip into the ink less often. 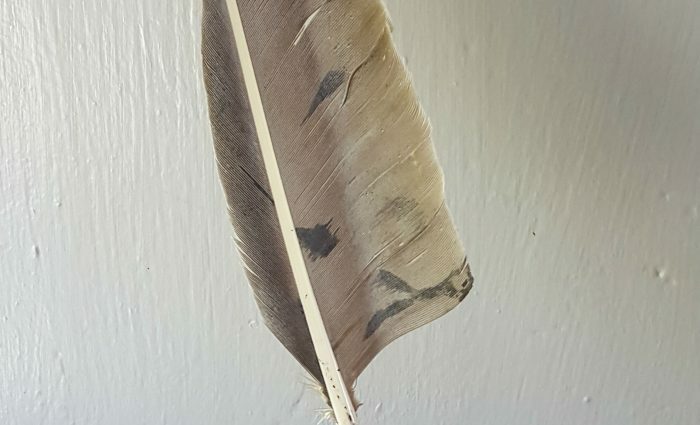 This quill is made from a turkey feather. People gathered the feathers during the turkey’s annual molt where turkeys shed the feathers naturally. People trimmed the feathers to a fine point- that rarely needed to be resharpened.